I love breakfast! It is my favorite meal of the day. I am a morning person and enjoy the quiet of the morning along with a delicious meal. I usually prefer sweet dishes for breakfast but on occasion, I will have something savory. 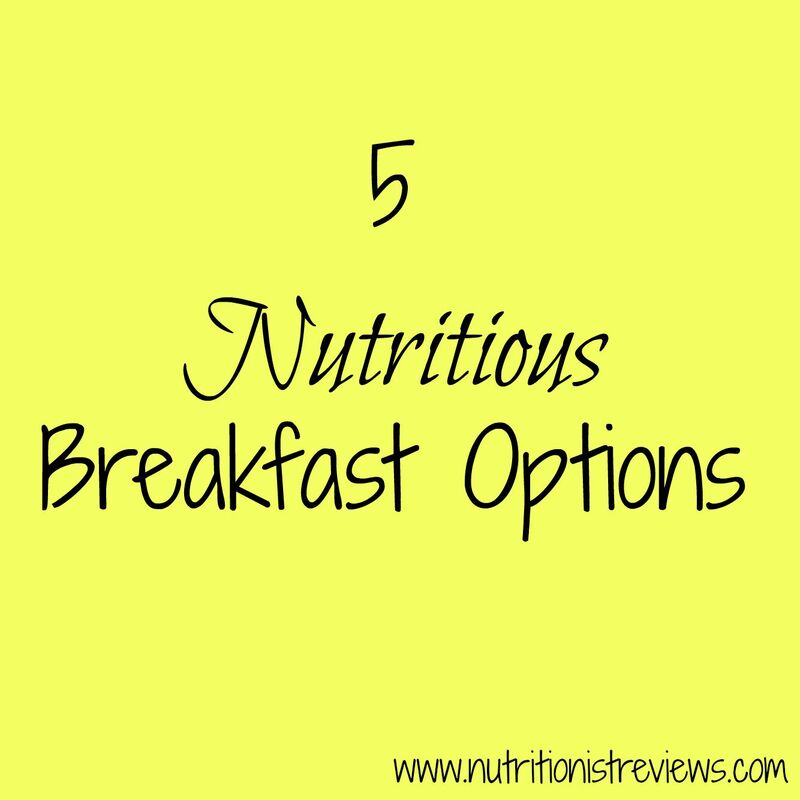 Must haves for breakfast are: whole-grains, protein, usually some kind of fruit, not too high in sugar and low-sodium. I want to start my day out on the right foot and feel best when I eat well for breakfast. 1. Oatmeal- About 4 days per week (on the days that I work), I have oatmeal for breakfast. I make an oatmeal mix ahead of time that I scoop out each day. My mix includes oats, ground flax, chia seeds and dried fruit. When I scoop it out, I add frozen cranberries, heat it up and add a scoop of peanut butter. This breakfast never gets old to me and tastes so good. It also keeps me full for longer than a lot of other options. 2. Waffles- On the weekends when we have some extra time, I love having waffles. My husband usually makes these making them taste even better of course. We use a whole grain mix and sometimes add fruit such as bananas, blueberries, apples or peaches. 3. Greek yogurt- Years ago, I fell in love with Greek yogurt because I love how it is thick, tangy, creamy and tastes like dessert. I love a wide variety of brands and flavors. Sometimes, I eat it plain or other times, I have it topped with fruit, nuts, granola, flax seeds, chia seeds, etc. 4. Smoothies- As much as I adore smoothies, I don't make them enough. So when I do have one, it is like a treat, even though it is actually very healthy. This is my standard smoothie equation: large handful of baby spinach or kale, milk of choice, frozen or fresh fruit (banana is my favorite! ), protein powder and ice. I love that there is so much variety that you can have with a smoothie to make it taste however you want. It is rare that I have vegetables in the morning so a smoothie is a perfect opportunity to have some. 5. Cold cereal- Probably the most common breakfast option! My husband and I have been eating a lot more cold cereal since our daughter was born due to enjoying it but also because of lack of time in the mornings. Adalyn wants to eat when she wants to eat so often, breakfast comes together in two seconds. We have been enjoying Special K® Red Berries cereal mixed with either skim or soy milk, fresh fruit and nuts or seeds. This cereal is made with whole grains and I love the freeze dried tart strawberries. When I was younger, I would pick these out of the box of cereal since I loved them so much (sorry mom and dad!). It makes a tasty breakfast option that is not too high in sugar. Adalyn liked it too! Especially the strawberries! Special K is partnering with chef Laura Vitale to help women eat delicious food with positive nutrition. The goal is show that a few healthier food swap through the day can make it easier to eat special and feel special.